Aviemore and Cambusmore Enhancement company bridge and walk ways. 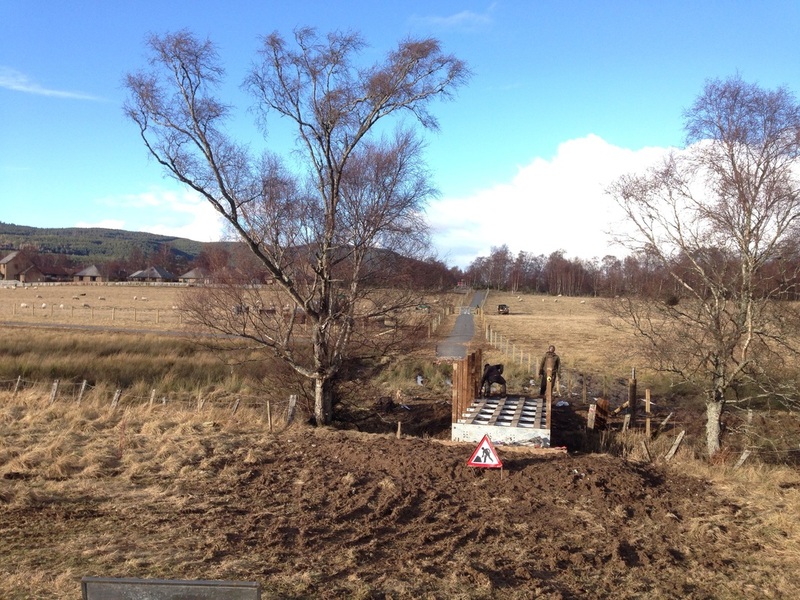 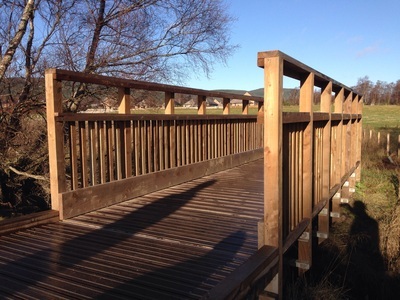 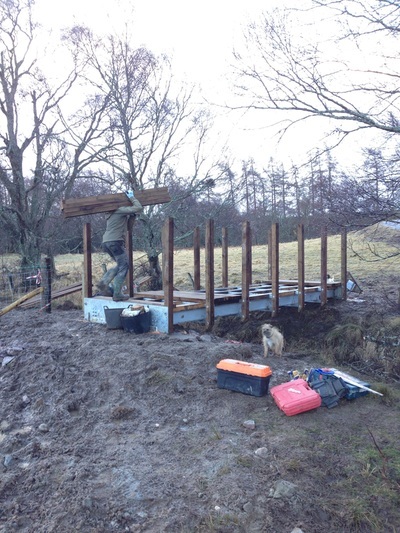 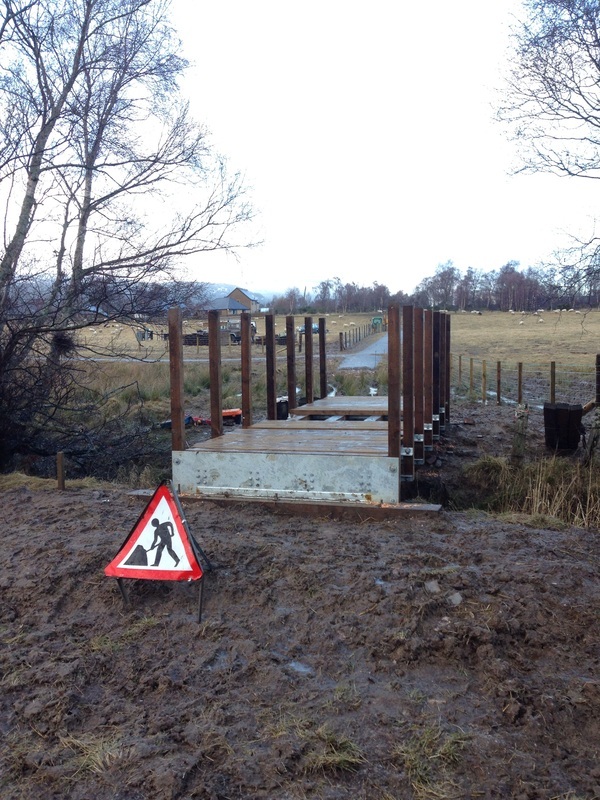 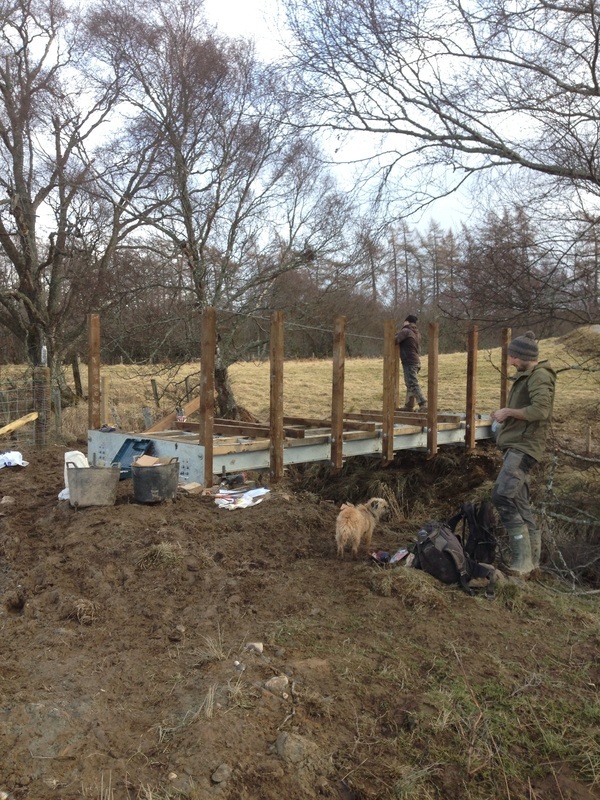 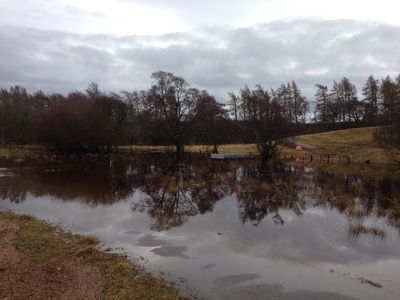 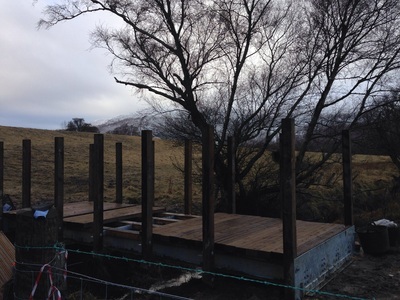 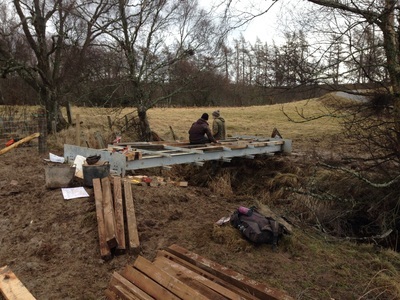 This was a job for A.C.E company to build a new bridge and two walkways over a small tributary of the River Spey. It was part of a larger contract involving new paths, tree planting and new stock fencing to create a community path network and park. 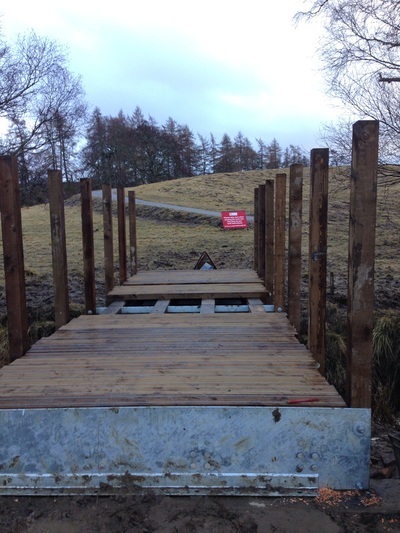 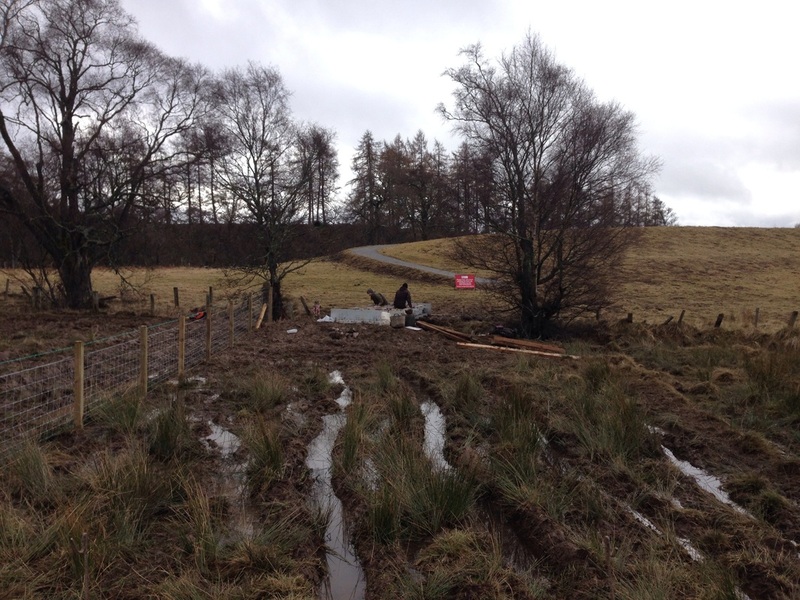 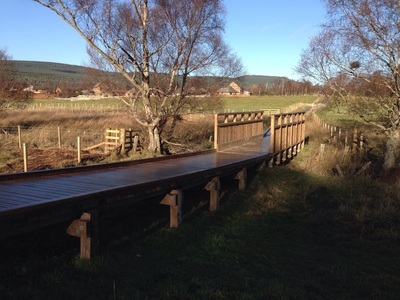 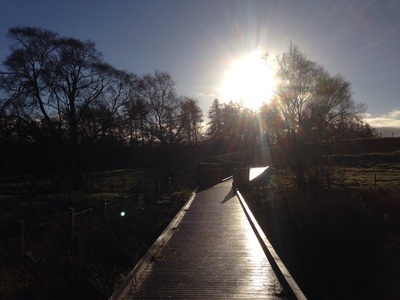 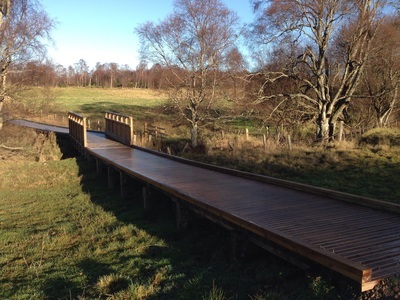 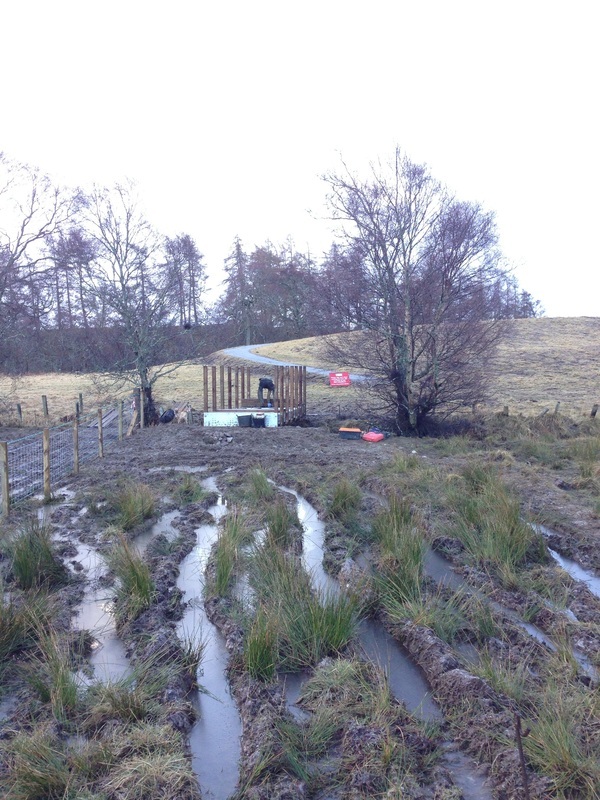 Our involvement was to build a complete Glentrool bridge onto new Gabion basket abutments, and to construct boardwalk walkways leading to and away from the bridge to connect to the new paths. 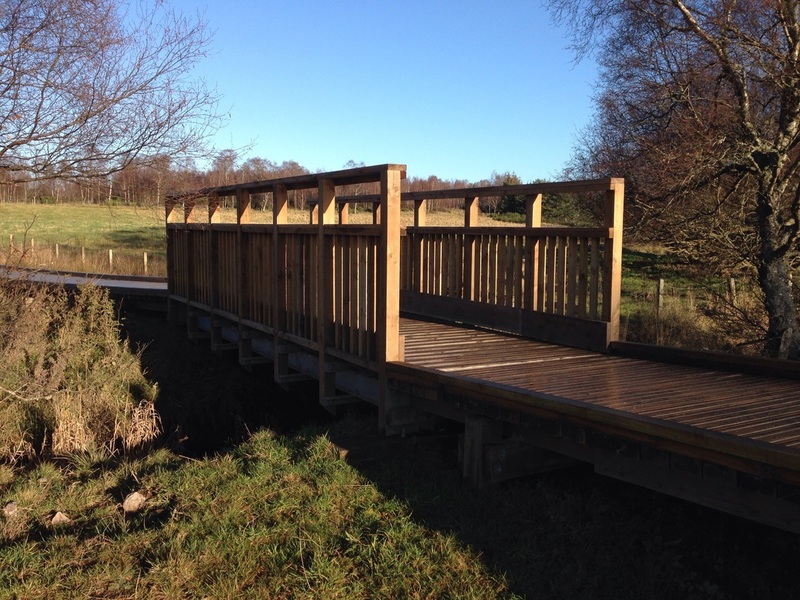 Due to the nature of the Spey River here, the bridge was designed to be able to be covered in water during times of spate and to survive. 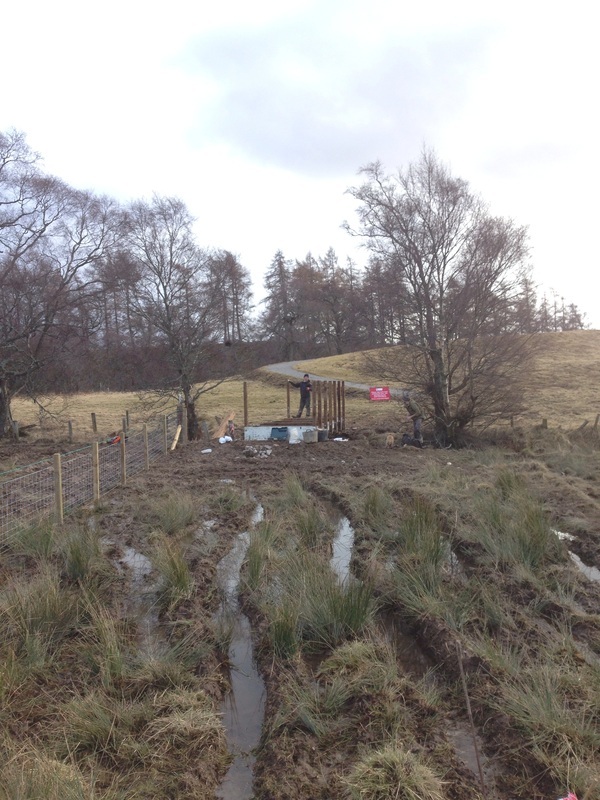 Gabions and steel work in place. The ground over which the boardwalk will go.